Finally it's time to meet the spring news from Järbo Garn! 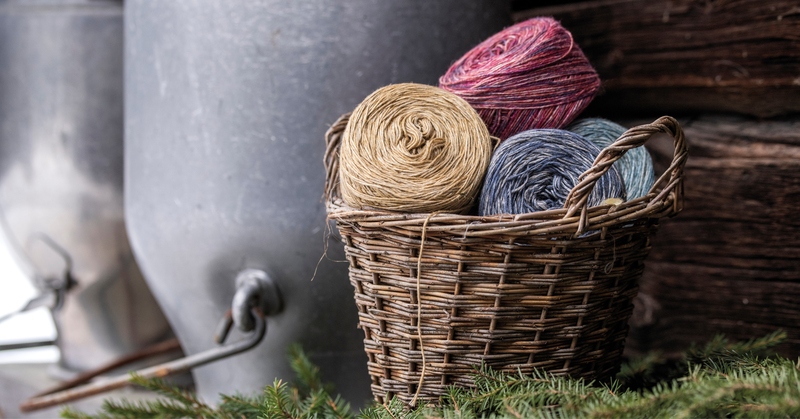 This year we're giving you several new yarns from natural fibers like wool, viscose, linen and wood. Among our news you'll find Lilly – a modern yarn on fun cake balls. Lilly suits perfect for both knitted and crocheted garments and accessories. The beautiful multi-colors creates a beautiful effect, without you having to change colors one single time! The mix of linen and viscose makes Lilly the perfect yarn for your spring and summer projects. This season we're also introducing Natural Club's Raffia – made from 100% recyclable, FSC certified long wood fibre. This vegan-friendly yarn suits perfect for both knitted and crocheted accessories. It's light, airy and eco-friendly - and can even be hand washed carefully! Raffia is 100% biodegradeable, non-toxic and recyclable. The long wood fibre is FSC certified, which means that it comes from sustainable and responsible sources. With fifteen beautiful colors to choose between, the only limit for what you can create with this exciting new yarn is your imagination! From Istex we're launching two new yarns. First we have Hosuband, Icelandic wool reinforced with polyamide. This makes it perfect not only for socks that last, but also for sweaters, mittens and hats. Then we're giving you Kambgarn, made in Spain of warming South American merino wool. The yarn is then dyed on Iceland by Istex skillful artists, which results in a fantastic shade card with lots of beautiful colors to choose between. Thanks to the magic merino wool, Kambgarn is both super soft, warming, durable, water repellent and easy to care for. As with all our merino yarns, the wool is mulesing free. Last but not least we're introducing Fino Mini-Skeins, Manos del Uruguay's Fairtrade Fino in smart kits with five cute mini skeins. These mini-skeins are perfect for your favorite gradient shawl pattern! Each kit contains 5 x 20 g skeins in complementary colors.